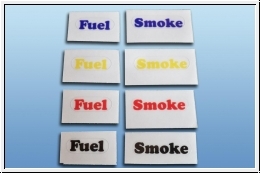 The Fuel and Smoke to label stickers are ideal for fueling facilities at the respective fuel to prevent any confusion during refueling. The set includes vollgende colors include black, blue, red, and yellow. 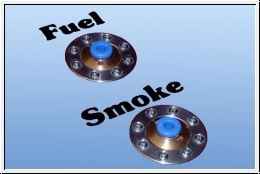 This Product was added to our catalogue on Thursday, 01. July 2010.